Check out the info and videos on Progenex vs Advocare protein supplements. 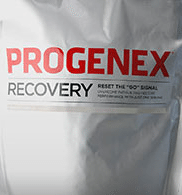 After Regionals this year I decided to give Progenex nutritional supplement a try to see what all the fuss was about as it was the main sponsor of the Crossfit Games in 2010. 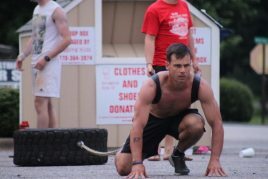 I know many of Crossfit’s elite had given it their stamp of approval yet I was hesitant to give it a try for a few reasons. Mainly because I felt that the tools I was using pre-post wod were effective enough for me. I got the Pro-Pack as a gift and it contains 2 powders – the More Muscle & Recovery formulas so I had a month of servings to test them out and see what my experience would be like. I’ll spare you the science behind these 2 formulas for the sake of brevity but if you want more info to refer to the website – www.progenexusa.com. Check out IsoPure – Specials of the Week at Bodybuilding.com! 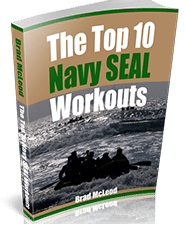 In my opinion, this is one of the most powerful Advocare workout products that they sell. I know when I take this that I will start to put on muscle. Rich Froning used Progenex in the 2012 CrossFit Games but has since been sponsored by BSN and now uses their products. The latest word (January 10, 2014) is that Rich Froning is now part of the Advocare team – see the tweet just posted below. More info here: Does Rich Froning use Advocare products? Question: What do you recommend on Advocare Muscle Gain vs Progenex More Muscle? I would try each product and see which one your body responds to. Question: What’s your take in a side by side comparison of advocare and progenex? Post up your comments below. Question: What about fusion protein vs advocare muscle gain? We are working on a review for those now. Does Rich Froning Use Advocare products? I recently finished my Advocare 24 day challenge and I thoroughly enjoyed it. The 24 day challenge consist of a 10 day digestive system cleanse. I think the cleanse is important because it rids your body of harmful toxins and it allows you to take on nutrients. Also the cleanse is not going to cause you to get sick or make you have a blow out. Honestly I did not feel anything, but I did see a difference of energy level after the cleanse. I felt A LOT better after the 24 day challenge along with a 30 pound weight loss. Before I started Advocare I researched the company and wanted to find out how reliable it is. I found that Advocare has a board of doctors that design and test their products. I trust and appreciate that Advocare is producing healthy, pure and effective supplements.